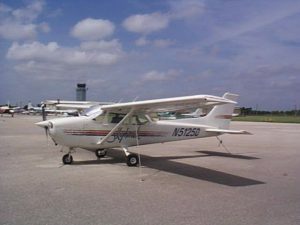 We have the most unique introductory flight lesson and you can sample aviation for the first time! We offer a one hour introductory flight to acquaint you with the thrill and technical skills to fly an airplane. Get behind the wheel and take off, fly the friendly skies and land comfortably with the instructor right next to you guiding you with ease. You can bring along another person for free to photograph your experience. The introductory flight lesson is to show you how easy it is to fly an aircraft. This is a great way to sample the experience of flying and determine if this is something you want to continue learning for personal or professional reasons. The rate is $160 for an hour with an instructor. We also offer gift certificates for these classes. You might be interested in purchasing one for your spouse, friend or any loved one. These make great gifts for a birthday, anniversary, or any special occasion. To schedule your introductory flight or purchase a gift certificate, please contact us today. Get ready to take off?